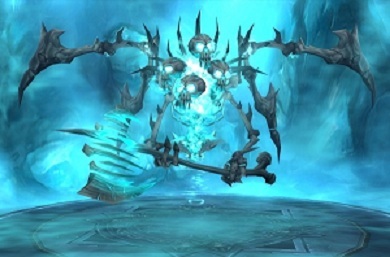 In an effort to complete my Icecrown Citadel boss guides (there’s more incoming guys, I promise, particularly hard modes), I’m also going to be publishing a slight variation on the idea that I did quite some time ago. The TL:DR (too long, didn’t read) boss guides will be published to accompany my main guides and they’re designed for fun more than anything else. Never the less, if you’re starting a new encounter, it might be worth throwing them at your unprepared guildees! For now, you’ll have to click on the image to get the full sized version, but I’m working on sorting something out. Enjoy! 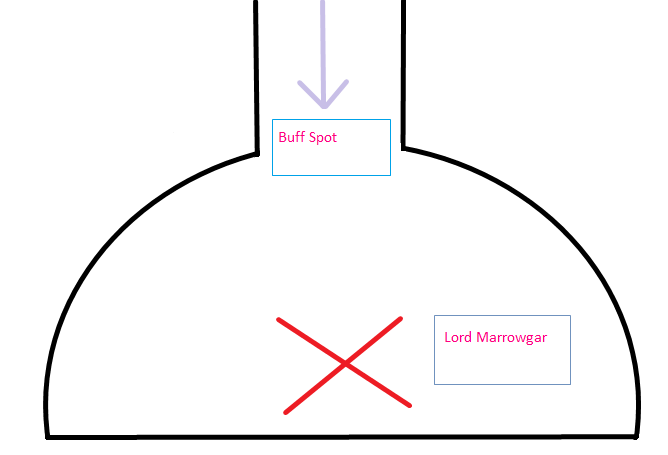 This boss guide is now up to date as of the 5th of March when Marrowgar’s agro reset after using bone storm was removed from the encounter. Lord Marrowgar is the first boss you will encounter in Icecrown Citadel. He isn’t a difficult boss though he does require quite a bit of movement along with some target changing. There are a couple of different positioning tactics for this fight but firstly, I’ll detail how we do the fight. You’ll find Lord Marrowgar on the ground floor of Icecrown Citadel. Depending upon your viewing distance in game, you’ll probably see him very early as you start to clear the trash. The picture above shows Marrowgar’s room. You can buff at the entrance and get an idea of the area. You’ll have to move quite a bit during phase two of this fight, so familiarising yourself with the room is a good idea. As I mentioned at the start, there are a couple of ways to tackle this boss in terms of the positioning. I’ll detail our method first and then cover the second method towards the end. The image above shows how we position the boss, the tanks and the raid in phase 1. The “pull” is much like Anub in Trial of the Crusader, we all, as a raid, move in together. 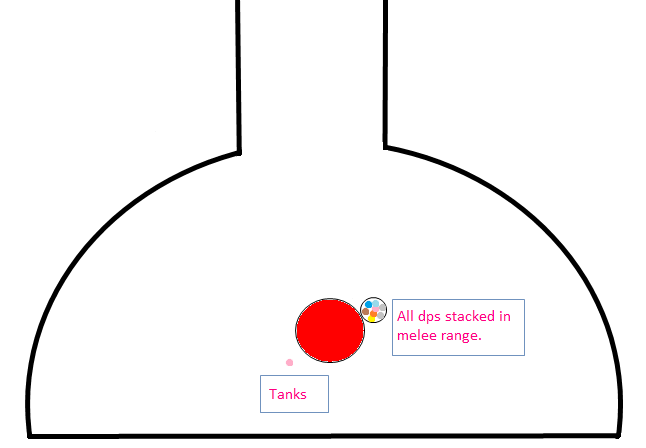 As a ranged DPS you will be stood in melee range with everyone else. We all charge in and position as in the diagram above. We pop heroism at the start of this fight so for me, it’s totems down and heroism popped. There are two main abilities you need to be watching out for in phase 1. 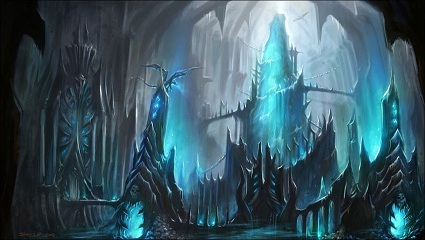 If you ever did Supremus in Black Temple, you’ve pretty much experienced Cold Flame before in it’s previous life. Marrowgar will “shoot” bright blue flames out of him (they’re cold flames though, as the name suggests). These travel slowly and always in a straight line so avoiding them is easy. If you use the positioning that we do and you’re standing directly underneath him, you shouldn’t get hit by them at all. A spike will shoot from the ground and impale one raid member. All DPS need to switch targets and kill this before the impaled person dies. The second advantage of stacking the DPS in the position I illustrated is that the impaled person will always be very close to all the DPS. This ensures no one needlessly dies. It also makes the raid achievement “Boned” incredibly easy. This signals the start of phase two. 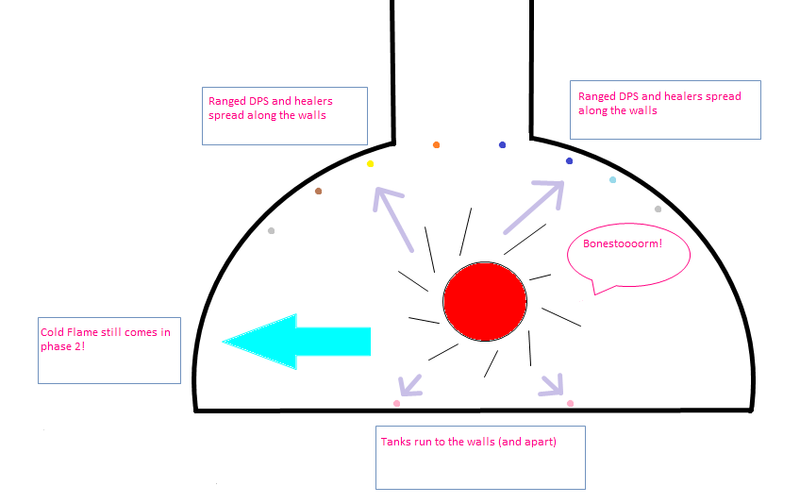 As the illustration above shows, the raid all need to move away from the boss towards the edges of the room. Try and keep a distance from each other. Marrowgar will cast Bonestorm which is a whirlwind type attack. He’ll randomly target and pursue one raid member for a short amount of time before changing targets. 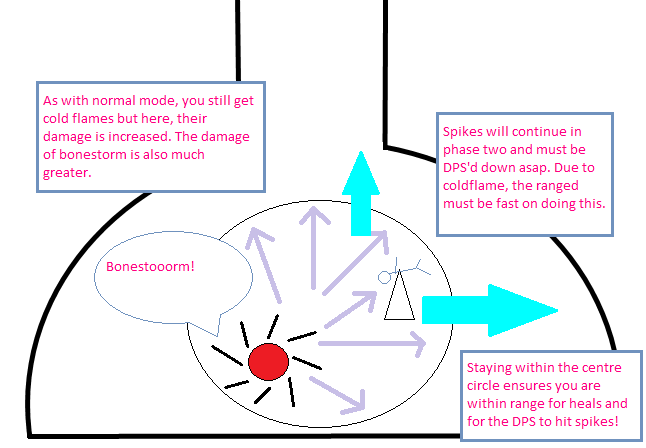 This phase lasts for 30 seconds and Bonestorm has a one minute cool down from the end of the phase. 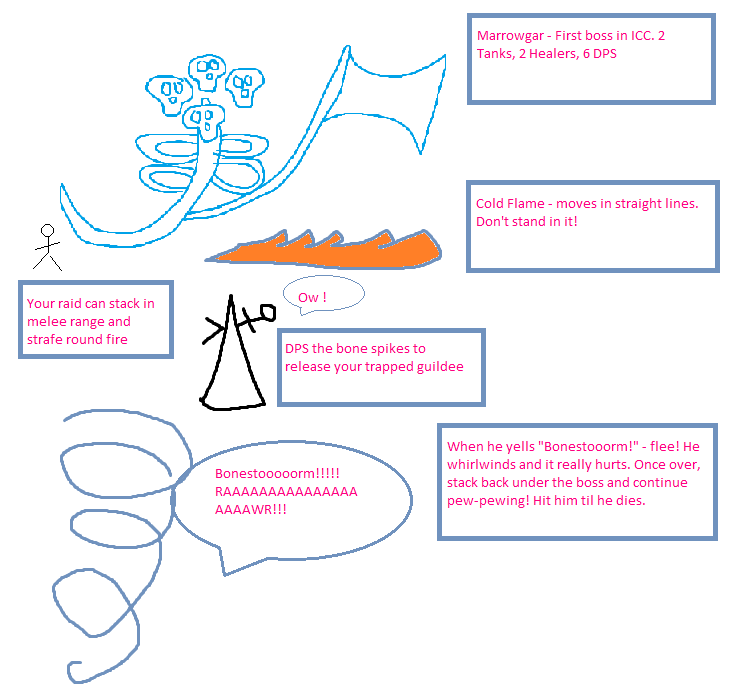 (Note:- As cold flame is a recycled mechanic from Black Temple’s Supremus. Bonestorm is exactly the same as the whirlwind Leotheras did in Serpentshrine Caverns. Take note that during phase two there will still be cold flames. Be very careful where you run. Avoiding the whirlwind is your top priority as this hurts more than the odd tick of cold flame. Ideally, you shouldn’t be hit by either. Marrowgar is tanked pretty much where he is stood in the room. The tanks turn him around to face the back wall. 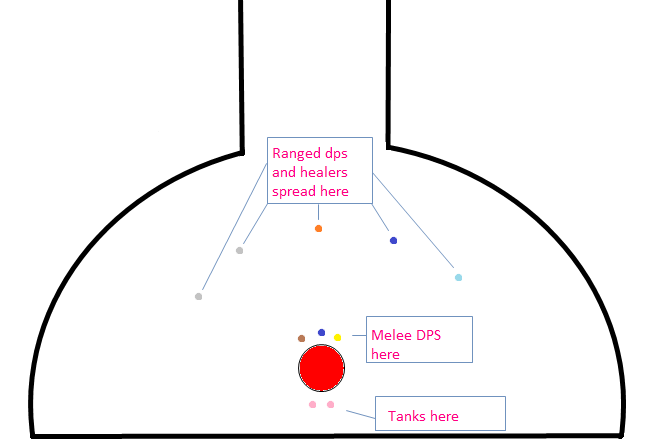 As ranged, you will spread around the back of him in a semi circle along with the healers. The cold flame will be targeted at people stood at ranged. Watch for this coming towards you and move accordingly. At the start of phase two, run back to the walls of the room. As I said, we use heroism at the very beginning since you then have approximately 45 seconds before the first Bone Storm. Always check with your raid leader as to when he or she wants this using.